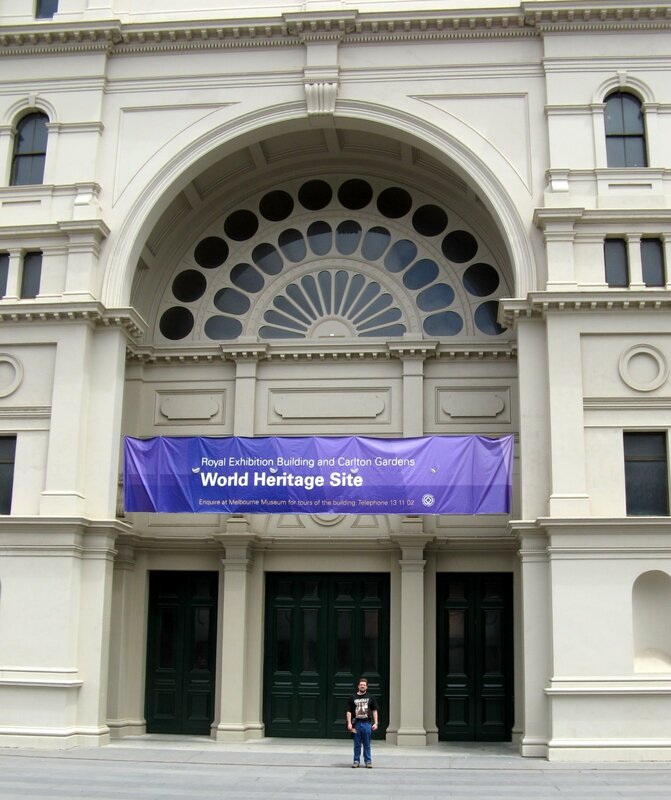 We had some free time on Sunday before the opening of my conference, so we walked from our hotel to the Royal Exhibition Building and Carlton Gardens. The Building and Gardens are a world heritage site because they, "as the main extant survivors of a Palace of Industry and its setting, together reflect the global influence of the international exhibition movement of the 19th and early 20th centuries." OK, it's not Stonehenge, but it goes on the list -- I'll be posting my year-end World Heritage review soon. We also visited the Melbourne Museum, which has a nice aboriginal collection (no pictures). 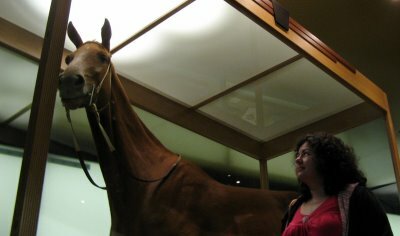 They also have Phar Lap -- or at least his skin. The rest of him is in Canberra (heart) and New Zealand (skeleton). We bought tram tickets and headed back to the hotel. The tram proved to be a fairly convenient way of getting around the central area of Melbourne, although it made life challenging when driving.